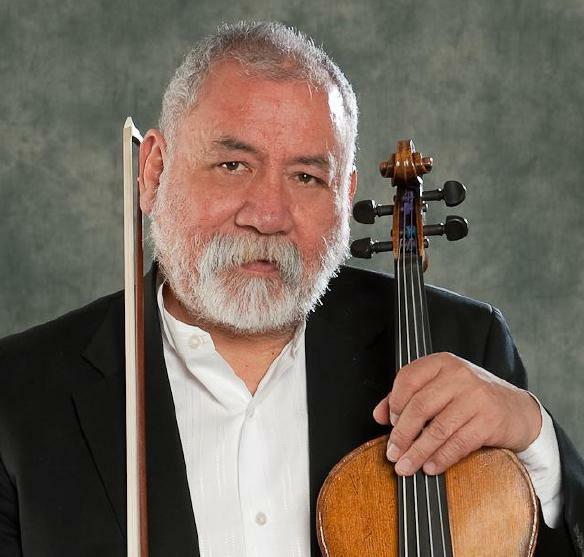 Violist Willy Sucre is a member of the New Mexico Symphony Orchestra and the driving force behind the “Willy Sucre & Friends” concerts. Born in La Paz, Bolivia, Sucre studied at the Conservatorio Nacional de Musica in La Paz; Colby College Chamber Music Institute in Waterville, Maine; Mannes School of Music in New York; and the Peabody Conservatory in Baltimore, Maryland. He has been conductor and Music Director of the Albuquerque Philharmonic Orchestra; assistant conductor and principal viola of the Canada Symphony Orchestra in Montreal; assistant conductor and assistant principal viola of the New Mexico Symphony Orchestra; principal viola and guest conductor of the National Symphony of Bolivia, the Chamber Orchestra of La Paz, and the Albuquerque Chamber Orchestra. As a chamber musician, Sucre was the founder of the Cuarteto Boliviano, guest violist with various chamber music ensembles, and for ten years the violist of the Helios String Quartet. His experience includes extensive chamber music concerts, lectures and school demonstrations, CD recordings, and television performances throughout South, Central and North America. Sucre spends most of his summers in South America pursuing his major interests: to find new works of chamber music by modern composers and to encourage composers both here and in South America to write new pieces, especially piano quartets. He enjoys playing with other musicians and ensembles of diverse instrumentation.